Home » Blog » We’re off to the UK blog awards! Tonight we’re heading to the Grange St Pauls for the first ever UK Blog Awards. What a great celebration of wonderful content shared across social media on a daily basis. Categories range from Travel to the Automobile Industry. We of course are sitting in the ‘Event Industry – Organisation’ category. It would be great to win, but we are chuffed to be nominated. So today we thought we would share with you our top 5 most read blogs so far from 2014. Want to know what’s hot in the industry? Gareth from the team shares some thoughts! With an all new Victorian Gin Palace bar, the London Dungeons lates is a must for any Londoner this year. 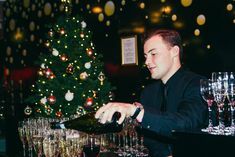 We hear from Bar and Bat Mitzvah experts ‘Events Factory’ on how to plan the perfect Bar or Bar Mitvzah including events here at Madame Tussauds. A great blog to read before you advertise for that new position in your team. 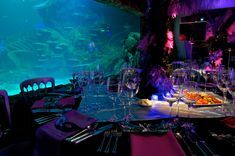 From walking across shark tanks to striking a pose with George Clooney, find out why you should use our venues this year. Thanks to those who voted for us!